Werner's Cairns blog: Afghanistan, a millstone around our collective necks. Afghanistan, a millstone around our collective necks. Click on the link below for in-depth and poignant comments by Australian broadcaster Alan Jones, re the plight of the three soldiers charged over an incident in Afghanistan. Jones also interviews Charlie Lynn, MLC, in regards to this. I believe these comments should be distributed as widely as possible so that as many Australians as possible and the world are made aware of and understand the truth as to what has happened, and the appalling treatment these men received, for serving their country. It is a sad indictment on our mainstream media and government that they have not come out supporting these three. As Alan Jones says, the traitors (Hicks & others) that served and helped the Taliban got better treatment from our Government and media than these three. 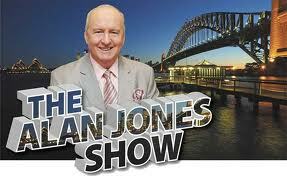 Click here for Alan Jones comments and the interview with Charlie Lynn MLC. Click here to see the fact sheet of what Australia is spending in Afghanistan; one would think that charity should start at home. To say that it is a travesty the way these three soldiers, three of our finest Australians, were treated, is an understatement. This makes me ashamed to be an Australian. We shouldn’t be there for a start, putting our soldiers in harms way and pouring millions into a bottomless pit, and support a corrupt Afghan government. I totally agree with Werner that this war is not winnable; we will never make this country a democratic society or alter their ingrained culture, which is a far cry from our western values. When I see what is happening in our country, where we have many homeless and many can’t afford food, electricity, and the basic necessities, it makes me sick to the teeth that we haven’t got money for our needy, yet we have bucket loads for Afghanistan and others. And yes, charity should start at home. I wholeheartedly agree with the sentiments expressed by “True Blue Aussie,” you have spoken for most of us. It’s sad, but so true what Alan Jones and Charlie Lynn said. We can be proud of our soldiers and should not drag them through court and humiliate them for simply acting in self-defence and carrying out an order. It is a shame that this is happening and also that our politicians and media are silent about this.